Oktoberfest starts now! 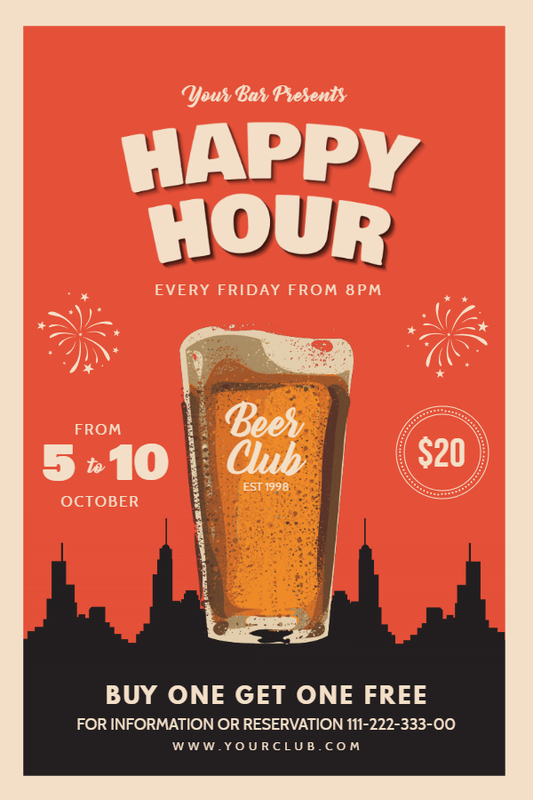 And PosterMyWall can help you create the perfect flyers for your bar party!!! 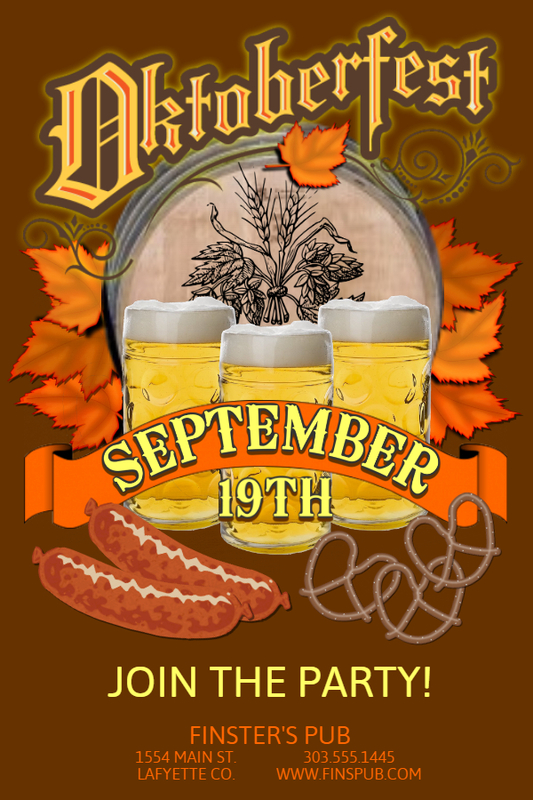 Serving native Oktoberfest food and beverages? Offering new Happy Hour specials? Changing the weekend specials? 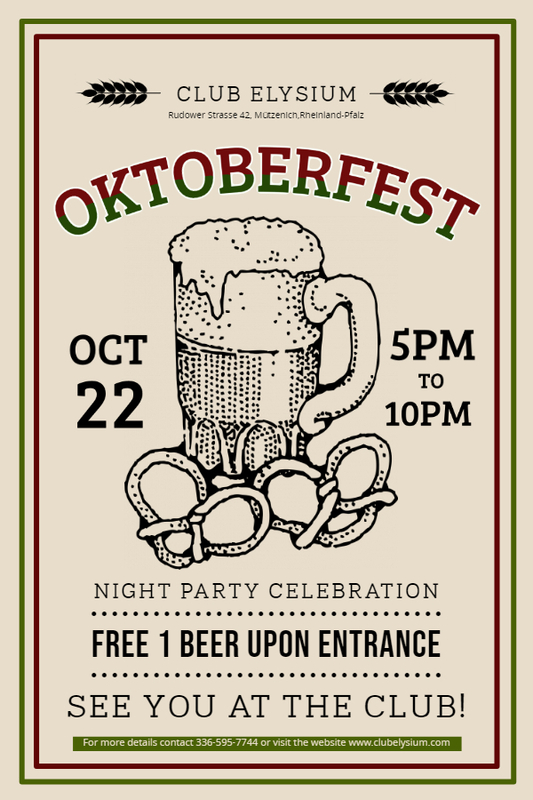 After deciding what kind of promotion is best for your business, select from one of our templates below, or visit our complete gallery of bar flyer templates and Oktoberfest flyer templates. You can find our top tips for marketing your business here. If this is your first time on our site, click here for some design ideas. Or click a template below to start customizing in the flyer creator. The best way to learn is to experiment! Play around with the flyer creator and use templates to see what works best for your design. Like and visit our Facebook page to stay on top of the latest deals, contests and promotions.